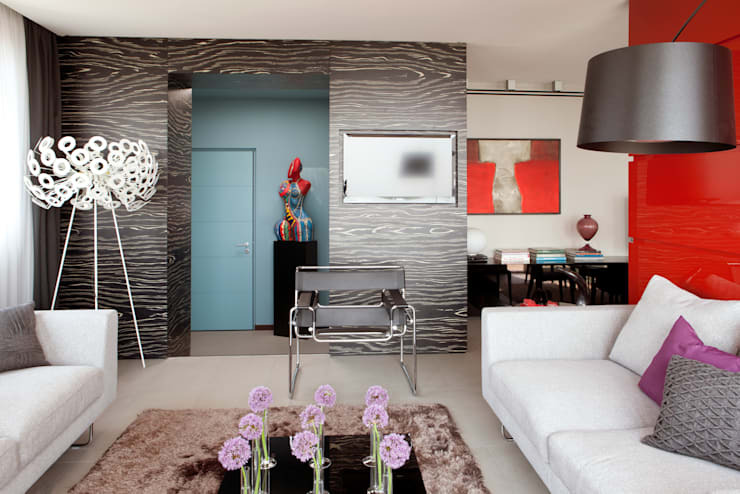 Have you ever considered making your home more interesting through colour? In this edition of homify, we look at how fascinating and unique colours that are vivid and attractive can have a major effect on the home interior. Certain colours have a way of affecting the body, mind and soul, and a combination of those colours, hues and contrasts can create an environment that is serene and sultry or bursting with energy. Let’s consider the possibilities of style, elegance and charm that can be introduced to a home through light and of course a sensationally vibrant colour palette. 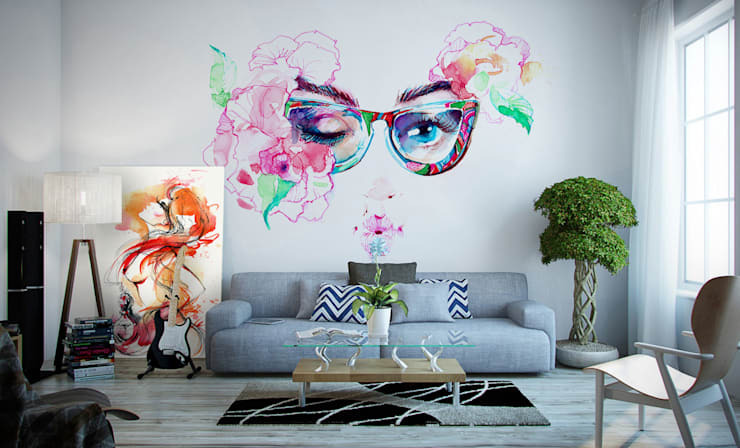 By adding some fantastic and eye-catching wall art to your home you can surely create a comfortable and elegant yet appealing charm. 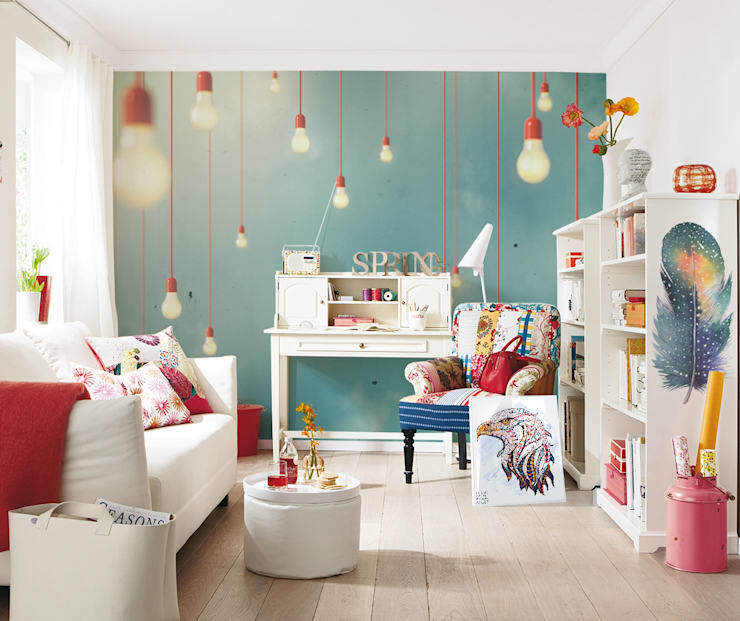 This can be done through some creative wallpaper, or visiting your creative side and going for a DIY mural. Red is a great choice for a striking home interior, whether it’s the dining room, living room or even kitchen. In this image, the red has been introduced to the home in a simple manner, which is subtle in character. The design is softened by including a lovely light grey feature wall with plenty of white elements also toning down the red decor. This designer dining room is a fascinating combination of elements, colour and spectacular effect. 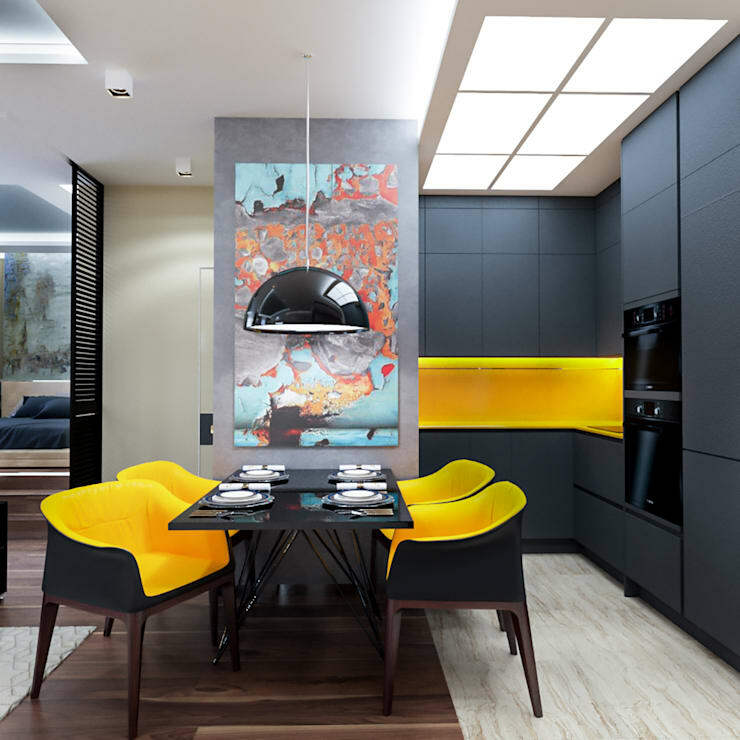 The interior designers opted for a contemporary effect by adding these modern seats to the décor too, which works pretty well with the bright yellow and black. Incorporating some African inspired art and design or tribal colours is a magnificent way to make your small bathroom special. 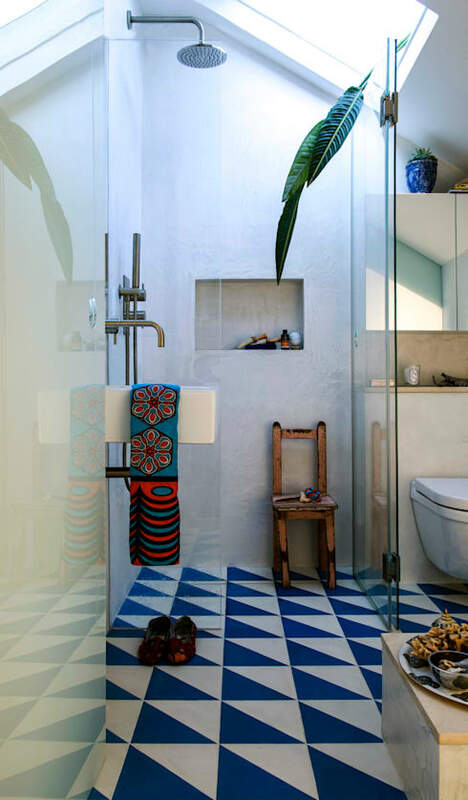 The simple blue and white geometric design of the bathroom have been instantly revived by the addition of some startling tribal elements, making this space so much more attractive. This lovely living room exudes comfort, chic style and a spacious ambiance. The all-white furniture, excellent colour combination and décor is visually attractive and accentuates a comfortable environment that is pleasant and playful. This living room is another artsy and elegant dream space. 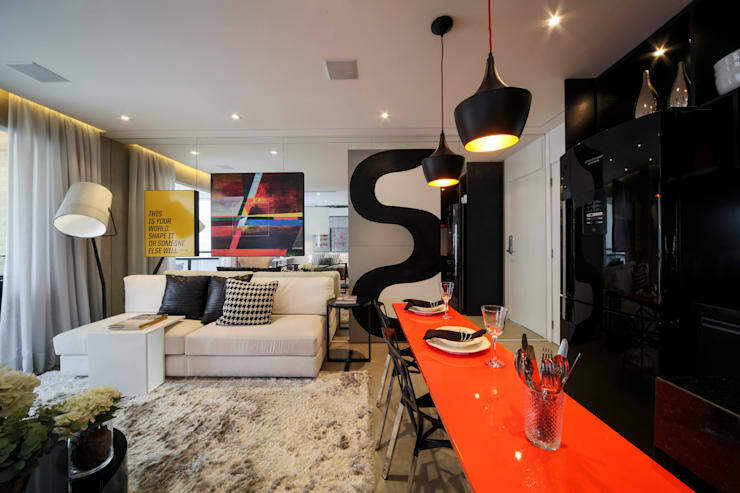 Bold colours and dynamic details have been incorporated to make the small home seem edgier and free flowing. 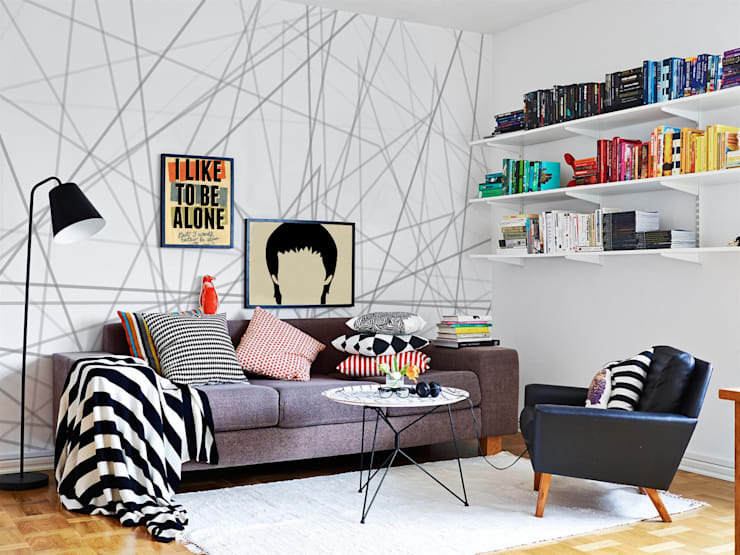 It’s like using your living room wall as a blank canvas, to do with as you please. Neutral décor with colourful accents are a gorgeous way to make your kitchen more dramatic, elegant and of course charming too. Add in some fantastic framed artwork and your minimalist design is complete! 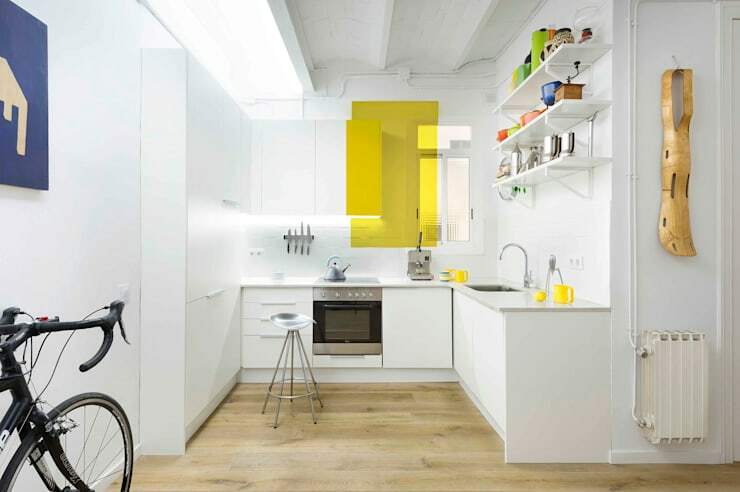 This unique and bright kitchen is a great feature for a fascinating design full of colour and style. There’s nothing quite like a creative canary yellow and white feature to liven up your Monday morning mood, with a cup of coffee of course. It’s minimalist design at its best. Bright energetic colours with a glossy finish is a marvellous way to make your interior more interesting and this glossy red and black kitchen décor is simply stunning. This open plan living space is contemporary and elegant, with a bright and refreshing design incorporated throughout the interior. 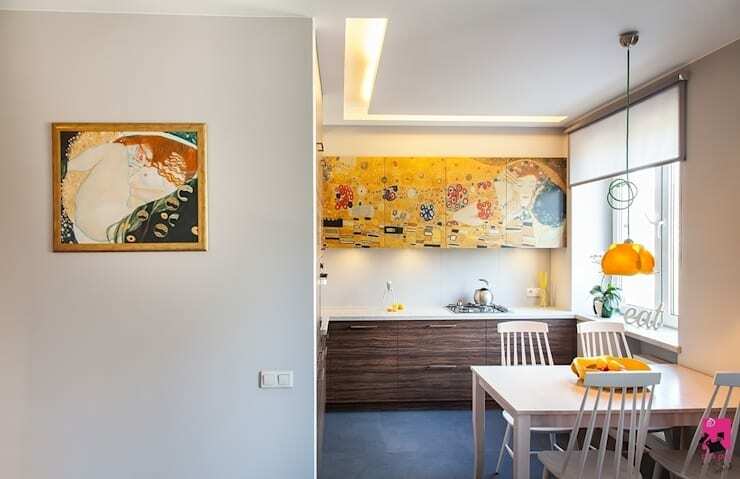 Some people might not want to incorporate permanent bright colours into their home, which is why this dynamic and elegant décor is an excellent alternative. The colourful element has been included into the design of the home through the brightly colour coded arrangement of books on the simple shelf. Now, that’s an unusual yet inspired idea. Here are: 8 trendy and smart ideas for South African homes. Which colour inspired decor idea to you love?